Alessandro Testi's decision to set up the company in Italy derives from his deep desire to turn the 'Made in Italy' into an authentic CORPORATE MISSION. 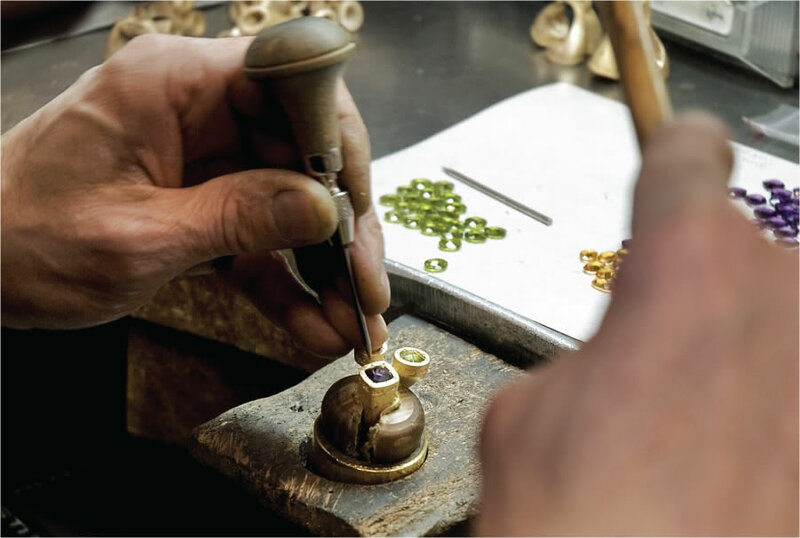 In fact, not only are all the creation, manufacturing and distribution phases carried on inside the Florentine factory, ensuring pieces of jewellery that are 'Made in Italy' hand-crafted products, but the company's main suppliers of services and raw materials are also Italian. In addition to which, thanks to the in-house production, the creative team led by Alessandro Testi is able to pass from the creative and design phase to the realisation of the product in the space of a few hours. Industrie Testi Spa produces its jewellery in a series of highly specialised departments where craftsmen and industrial design graduates work side by side. In fact, every phase of all the innovative production processes are linked by painstaking attention to detail and finish in order to combine present and future, manual skills and techniques. in 2007, Confindustria presented Alessandro Testi with the “Confindustria Award for excellence” in the innovation category, as confirmation of the constant attention that the Group gives to this corporate value. This award represents an incentive to do even better in the future, through ongoing innovation and growth. In 2014, Industrie Testi Spa received the D&B Rating certificate, confirming the Group's financial strength. Only 6% of Italian companies can boast such an excellent result. Also in 2014, Industrie Testi Spa availed of the 100% Made in Italy certificate in collaboration with the Ministry of Economy. This certificate is conferred to companies which make the Made in Italy a cornerstone of their business and not just a meaningless banner to boast of. QUALITY CONTROL DEPARTMENT Every piece of jewellery is subjected to strict tests by personnel specially trained in this activity.